Once the depth map is created we need to access it on the CPU, so we need to transfer the depth map from GPU memory to CPU memory. On PC DX9 you could use “GetRenderTargetData()” which will block until the rendering is finished (a bad thing) or use the depth map generated at the previous frame (With a double buffer). On console this is simpler. In case we need it we can transfer the data with the GPU when the depth map has finished its rendering (Can’t talk about the specific). This is a quick operation, a 256×256 depth map cost 0.036ms to transfer on PS3. More, we don’t need to perform any synchronization between CPU and GPU here. Even if we overwrite some CPU accessed data, we will just produce a wrong position for a frame. And with tens of rain splashes spawned each frame, it will be hard to notice. // Project current position in our depth map and set world space z location. The above pseudo code use a D24S8 integer depth/stencil buffer on console because this format is compatible with hardware PCF (Depth map will be used for other purpose than just generating positions on the CPU). But a depth only format could be used. When decoding a value from the depth buffer it is important to know its format. Floating or integer ? Bit depth ? Tiled/Swizzled ? The reversed depth storage or not is handled by this pseudo code inside the projection matrix on console. In case the texture is tiled or swizzled, care must be taken when addressing the pixel inside the data. When a falling drop hits a surface, it is subjected to a sudden impact force. This impact deforms the drop and forces the water to flow radially outward. Some of the water eventually leaves the surface in the form of numerous small droplets – an event defined as a splash. Splashes can occur in two possible ways: corona splash, where a thin crow-shaped water sheet rises vertically above the surface before breaking into smaller droplets and prompt splash where droplets are emitted directly from the base of the drop without the formation of a crown. Typically, a corona splash requires a thin layer of water on a flat surface and stays alive for 10-20ms else we have a prompt splash. The dynamic of the splash depends on many factors divided in two categories: the material properties of the surface (Roughness, Rigidity, Wetness, Inclination, Hydrophobia) and the falling drop properties (Size, Velocity). Rough materials tend to have important influence on the impact result. 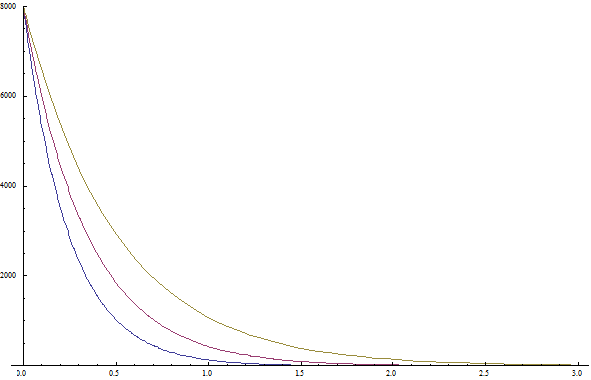 The radius and height of the crown can be related to the drop properties, the number of splash droplets is also related to the velocity of the drop. The distribution of the splash droplets can be described by a stochastic model. All the details can be found in . Lastly, a word on the splash distribution. The number of splashes to generate depends on the number of raindrops, we keep it simple and we link the number of rain splashes to a rain intensity value (More details at end of the post: Rain effects control panel). A rain splashes youtube video allow seeing the splashes in action. 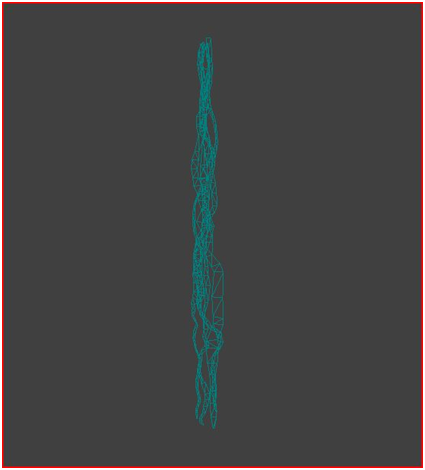 Other kind of falling drops, like drops from rooftop or trees after it has stopped to rain, can be simulated by individual particle systems reusing the depth map produced for the rain. The splash appearance is exactly the same. On PS3 a 256×256 depth map rendering mainly dominated by character take around 0.32ms the rain splashes under heavy rain take around 0.33ms. On XBox360 depth map take around 0.20ms the rain splashes under heavy rain take around 0.25ms. As said at the start of this section, if characters is too costly to render, you can spawn random splash on their head and shoulders. The difficulty here is to try to get the same splashes distribution than the ground. We don’t include lighgting information in rain splashes for performance reasons but as we see in the observation section this has important impact during the night. Rain splashes are more visible when backlighted. The Toy shop demo use an overhead lightmap to simulate sky and street lamp lighting and compute some average lighting in the vertex shader . Rain is the most complicated of the rain effects (but also the most studied) and is costly to make right. The observation post showed that it is difficult to perceive the rain. The best way to see the components of rain is with a bright light or when it is raining very strong. In all cases what we see is long streaks but in reality the rain is composed of individual raindrops. 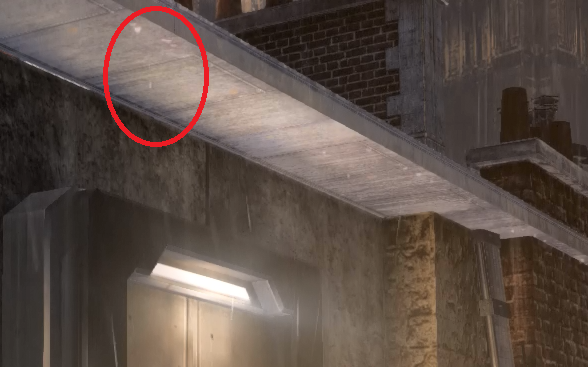 If we wanted to render real world raindrops, at a normal low resolution, raindrops will be just a few pixels wide. Moreover, as raindrop is very faint in bright regions and tends to appear stronger in dark area, it is not a good idea to match exactly the reality in game. We won’t take into account the complex appearance of raindrops, nevertheless knowing what’s happen under the hood is interesting. Raindrops are transparent objects of 0.5-10mm size. Smaller raindrops are spherical in shape but larger are oblate spheroid. – Raindrops refract light from a large solid angle (165°) of the environment (including the sky) towards the camera. Moreover, the incident light that is refracted is only attenuated by 6%. Specular and internal reflections further add to the brightness of the drop. Thus, a drop tends to be much brighter than its background (the portion of the scene it occludes). – The solid angle of the background occluded by a drop is far less than the total field of view of the drop itself. Thus, in spite of being transparent, the average brightness within a stationary drop (without motion-blur) does not depend strongly on its background. – The brightness of a raindrop is not affected by other raindrops. This is because for any given raindrop the total solid angle subtended by other raindrops (raindrops are small and are far apart) is insignificant to that subtended by the environment. As observed on the picture, the world is refracted through the raindrop. Correctly rendering a raindrop requires rendering a spherical shape with reflection, refraction and internal reflection. 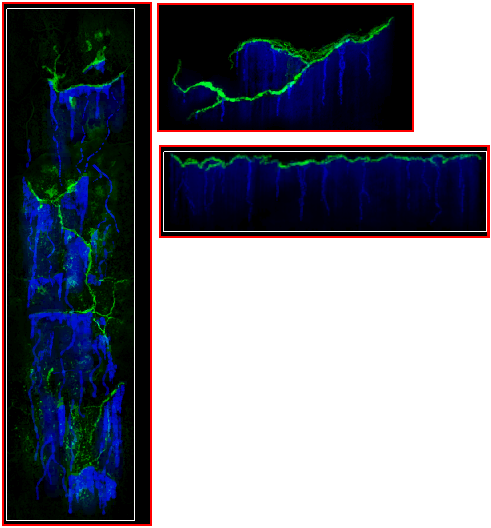 A large database of rendered streaks under different lighting, viewing and oscillations condition is publicly available . An old NVidia SDK includes a sample using a part of this database . Using a database like this is hard on this current console generation and as we say earlier, we are not looking for to exactly match the reality in games. There are two methods to implement raindrop in game. Either with a particle system or with large textures. 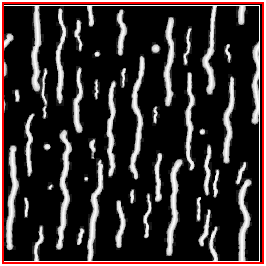 The particles system method often consists of representing the streaks with simple shapes such as rectangle. Particles system often produce realistic movement, they can be wind-driven and efficiently simulate on the GPU . For performance, the particle system is link to the camera to minimize the number of particles to manage. For example “Space Marine” use a view frustum restricted particle generator . The main downside of particles system is the lack of scalability. Stronger precipitation requires increasing the number of particles lowering the framerate. 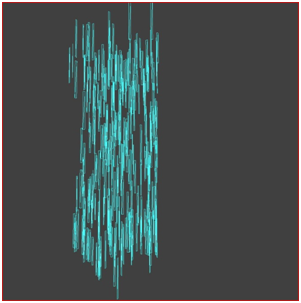 The large textures method use animated textures (either procedural or hand authored) representing several streaks. Large textures method has the same performance overhead for heavy precipitation as light precipitation unlike particle system. But they lack the realism of raindrops depth and movement. Toy shop demo use a screen quad mapped textures (commonly name a postprocess). The demo try to emulate multiple layers of raindrops moving with different speeds and at varied depths within a single rendering screen quad. Different input are use to generate a “w” parameter for a projective texture fetch . However the weakness of this approach appears quickly when the camera is moving around. The rain effect being a postprocess, looking downward make raindrops falling parallel to the ground (as illustrated by the Toy shop demo shot below). “Flight simulator 2004” maps four animated textures onto a double cone . 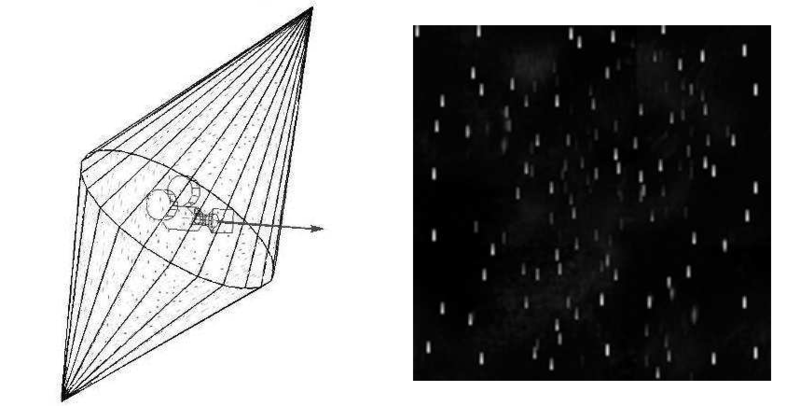 By using a cone mesh and by tilting it to adjust for camera movement, they allow precipitation to fall toward the camera. They scale down each of the four successive textures and scroll it more slowly, creating drops that are smaller and move slower to simulate depth with parallax. We define four layers of rain each representing an area in front of the camera. 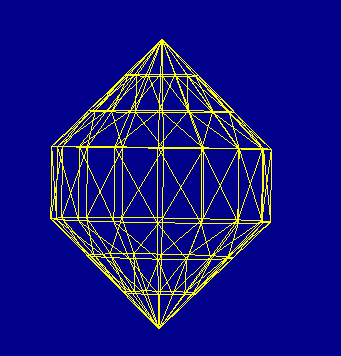 when looking up or down (like ) by simply store opacity in vertices color, but we chose to not do it. To get depth and parallax feeling within the raindrops effects, we want to use the depth buffer to occlude the raindrops. For this, each raindrop require a “virtual” position. We already define that’s each layer represent an area in front of the camera. Within each layer, we use a heightmap texture scale and biased with layer attributes to give each raindrop a depth inside the area. We use the direction from the view to the cylinder pixel position and this depth to retrieve the virtual world position of the raindrops. Generating heightmap texture is not an easy task, best is to generate it procedurally. As for particles, a soft depth test can be performing to progressively decrease the opacity of raindrops. 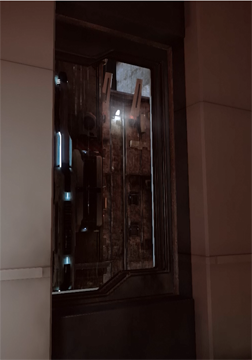 This depth occlusion increase the realism of rain, particularly in urban environment with lot of occluders in front of the camera. 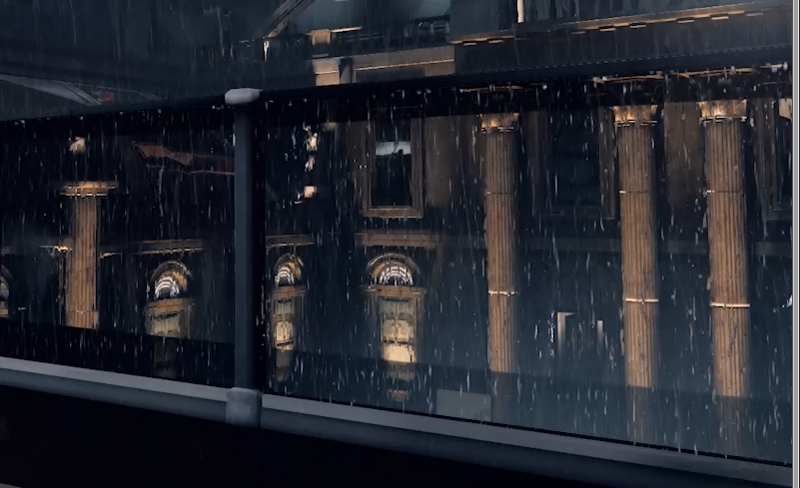 In a third person game like us you can see some raindrops falling between the player and the camera. A good side effect of this test is that’s raindrops disappear when looking at the ground because the depth of the raindrops are behind the depth of the ground. Another occlusion to take into account is the one from the sky. When we are under cover, we expect to not have raindrops. This could be easily achieved by reusing the depth map generated for the rain splashes. Like for a shadow map, we can project the virtual position of the raindrops and do a depth comparison to know if this raindrops is expect to reach its virtual position or if it should be stop. The test could be performing with the hardware PCF feature if the depth map supports this format. For take into account raindrops occlusion for other far layers (3 and 4) we smoothly mask-in each layer based on the layer distance and depth buffer at full resolution. We also perform this test for the first two layer to correct the artifact introduce by the low resolution occlusion tests. In the code you can see a RainOpacities variable. 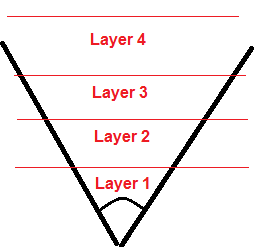 This is use by level designer to mask some layer depends on game context. 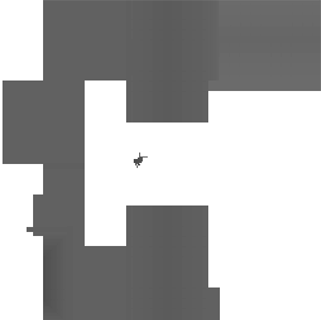 For example, as we have no depth map occlusion for far layers, level designer can help by “disabling” them. This is also useful to control the raindrops opacity based on lightning as describe in the Toy shop demo. The code also introduces the rain intensity value. Rain intensity allows to dynamically defining the strength of the rain. For performance, we simply modulate the raindrops color intensity. As the rain texture includes different rain color intensity this allow to see more and more raindrops with increasing value of rain intensity. A thing to note is that’s you can’t display more raindrops than what is present in the base texture. All the code written tries to remove raindrops (occlusion, pattern, distance mask…) so your rain texture must be author with max rain intensity in mind. You can see the result of our rain effect on a raindrops youtube video (For raindrops better to see HD version). For the sake of optimization, as we said before, we do two passes. One low resolution pass at quarter resolution and one at full resolution by drawing a full screen cylinder. The full resolution pass is merging with all other postprocess (motion blur, depth of field, color grading, tone mapping…) to avoid redundant resolve and blending work, so we effectively use a cylinder for them too. On PS3 the low resolution pass take around 0.40ms and the full resolution (the additional cost of the rain effect in the post process pass) : 1.29ms for a total of 1.69ms. On XBox360 the low resolution pass take around 0.34ms and the full resolution : 1.38ms for a total of 1.72ms. Limitation: The current raindrops occlusion method based on the soft depth test don’t work with translucent objects. When seeing rain through a clear window this is often not a problem, but when the object is half translucent the raindrops can appear in front of it. It could be possible to use a specific texture matching the rain texture to assign to each raindrop a rain intensity threshold. When increasing the rain intensity value the threshold is compare with it to enable or not the raindrops. The texture is similar to the heightmap texture but with different intensity distribution, the current result were already satisfying and we wanted to save some instructions. also have a lightweight model to simulate refraction, reflection and internal reflection. The nice idea here is the use of a precomputed texture mask that determines the direction of the refracted viewing vector for a quasi spherical raindrop. The refractionvector is later used to index a texture storing a wide field of view render of the background. The internal reflection is simulated for direct light with simple factor. A technique of interest to light raindrops at low cost is describe in  with an “inferred renderer”. Raindrops are light like other objects. As seen in the observation post, rain is not about just splashes, raindrops and puddles. Many objects interact with the accumulated water based on their curvature and environment. Adding all these elements increase the rainy mood. But compare to the other effects, they are generally less scalable and less controllable due to production time constraint. They are best suited for known rain condition in an area. Dynamic rain still an option by blending in and out the effects, but they will not really be adapted to all weather condition. They are usually created by FX artists in much creative ways (and not always realistic) and set by hand in the scene. 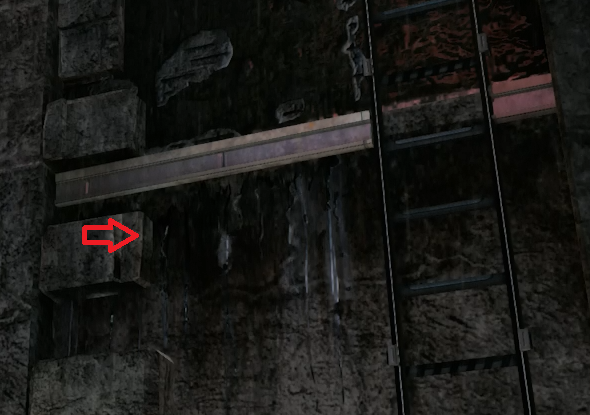 For example in Bioshock , dripping water is created with a cylinder mesh. Cascading water that interact with object with the help of a 1D shadowmap is also described. On the programming side, the Toy shop demo describe some effects like raindrops falling off various objects with drop normal map, fresnel equation, reflection, refraction etc… . This effect use a droplets sliding texture (Below). The texture are sampled two times with different translate and scale. The result is also use to enable a distortion effect where there are droplets. To get back some view dependant lighting information we sample a low res environment cubemap (Available to all objects in our renderer. See Image-based Lighting approaches and parallax-corrected cubemap) and add it to the actual color. This effect is similar to droplets on glass. But in the texture, the blue channel is use for the water glide and the green channels allow controlling the crack shape. Goal is to simulate infiltrated water in wall. – Apart from the fading in and out, it wasn’t that dynamic. – It was quite costly. // View matrix transform from world to view. // has no effect as if we were spanwing in view space. // So use inverse of the view matrix. It’s worth noting that we also use particle trimming  to reduce a little more the fillrate. 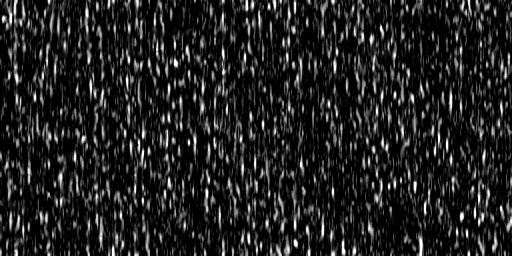 The effect can be seen in action at the begin of the Raindrops youtube video. The effect cost around 0.32ms on PS3 and 0.54ms on XBox360. Also not show in the video, in practice we generate more droplets on the camera when it is up and if it is undercover we don’t generate droplets. This can be test by throwing a ray in the opposite rain direction and testing collision with the world or more simply by reusing the depth map of the rain splashes. the heavier rain which has the larger droplets. Rates less than 25 mm h–1, drop size of 1 mm. Rates greater than 25 mm h–1, drop size from 1 to 5 mm. These curves could be use to retrieve the good raindrops distribution by unit volume for a given precipitation intensity. Of course, in the context of game, precipitation and raindrop numbers are useless and we prefer to follow the feedback feeling. A descriptive system would be more useful than numbers. 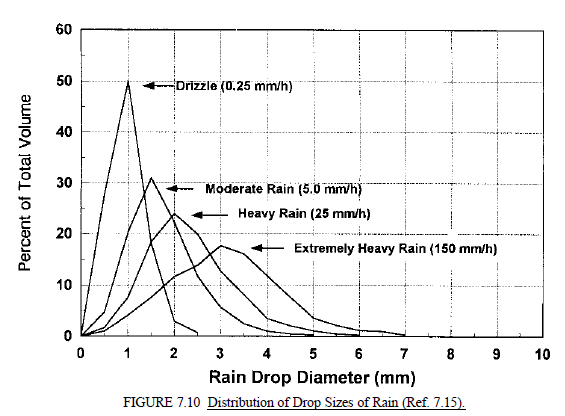 We chose to simply linearly increase the number of raindrops with the rain intensity. It allow to keep performance under control. We have not include the “drizzle” rain word because this kind of rain are not visible enough in reality to have interest. Raindrops threshold is use if you chose to support a threshold by raindrops (with a texture like explain in raindrops section), else it is equal to rain intensity. Other effects are describe in the part B: Water drop 2b – Dynamic rain and its effects. Well, that was a nice read ! You guys definitely did your research. So I do a small modification of the raindrop sizes distrubution in the Rain effects control panel part. v1.2: add a reference to a paper from Rousseau, Jolivet and Ghazanfarpour, “Realistic real-time rain rendering”, http://www.cse.iitb.ac.in/graphics/~pisith/references/realistic%20real%20time%20rain%20rendering.pdf and a really short sum up of it at the end of “Rain/Raindrops” section. v1.3: add some words on limitation of the raindrops effect for the occlusion soft depth test with translucent objects. By the way, nice work ! I wasn’t aware of your thesis, it seems you done a lot of work on this topic. I will read this carefully. Thank for sharing your links! I’m a vfx artists working in the film industry. In the last year I’ve had my hands on at least 50 shots that needed rain added to them. 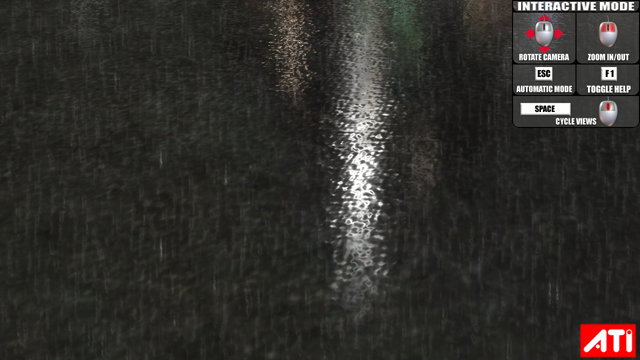 In an attempt to figure out an accurate and efficient method for creating realistic rain I used the database of rain streaks from Garg, K. Nayar , “Photorealistic Rendering of Rain Streaks” in some tests with fine results. In practice it’s turned out time and time again that the perception of rain has very little to do with the physical realities of rain. The clients would constantly come back with notes asking for more rain, brighter rain, more layers of rain, blowing rain, blowing mist. In the end the rain in the final shots were pretty much reality X10. The requested medium rainfall turns into what would amount to a torrential downpour in reality. To some degree this is a result of “We’re paying for rain! We want to see the rain!” but in the real world the experience of rain is so much more than just the sight of it that the task of simulating rainfall will always be difficult and subjective regardless of the advances in technology.